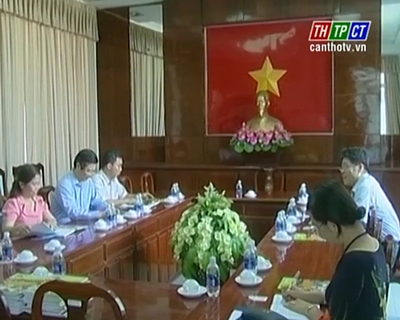 In the morning on July 28th, Mr. Truong Quang Hoai Nam, vice-chairman of Cantho city people’s committee and concerned units had a working session with Mr. Kikuchi Tadashi, an expert from Japan’s international cooperation organization (JICA) in charge of Japan Desk office in the South. 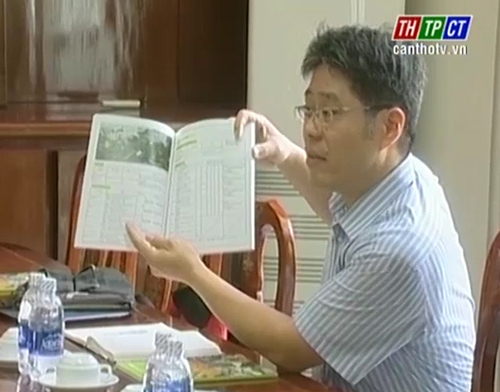 Mr. Kikuchi Tadashi informed leaders of Cantho city of a Japanese book introducing Cantho city and Mekong delta provinces to Japanese enterprises and people. The contents of the book includes destinations, particular products, infrastructure bases, opportunities for investment. Tadashi affirmed the book could help Japanese enterprises easily seek opportunities for cooperation, investment, contributing to improving the business environment in Mekong Delta. Mr. Truong Quang Hoai Nam highly valued the book and expecting that JICA would open its representative office in Mekong Delta in order to bring into play cooperative opportunities between the 2 sides in agriculture, industry in support of agriculture and tourism.